These are the modifications of the steps further on based on the last link above. add_drivers+=" sdhci-iproc bcm2835-sdhost bcm2835_dma mmc_block dwc2 "
Gist log until 7. is below. [10:40am] <wiert> Is there anyone of the dev team here with a RPi3 that can see if my steps at https://wiert.me/2017/08/17/a-start-job-is-running-for-dev-disk-by-google-photos-jeroen-wiert-pluimers-google/ reproduce? 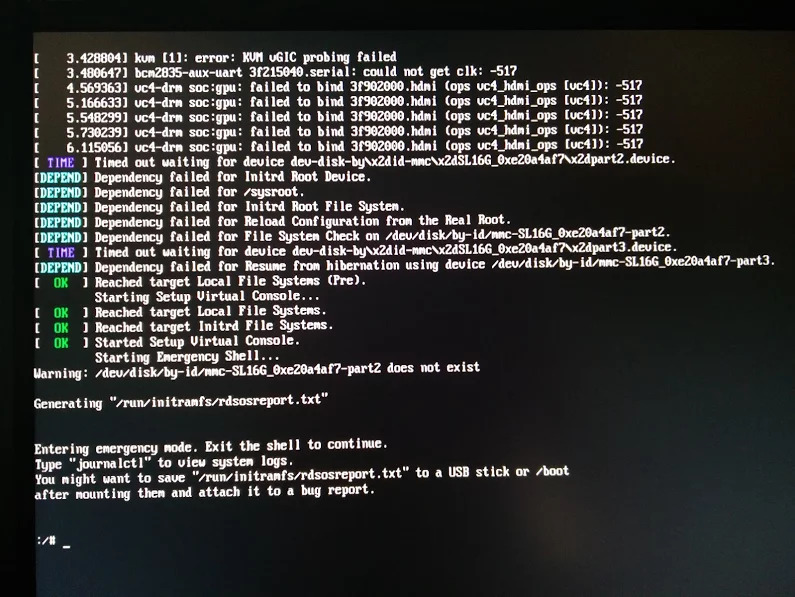 [10:40am] <wiert> TL;DR: Tumbleweed on Rpi3; enable WiFi according to site and forum instructions; zypper dist-upgrade; boot failure. [10:41am] <wiert> without enabling WiFi everything is fine. [10:41am] <wiert> spare RPi3s get in next week, so I’ll configure this one for my brother without WiFi for now. [10:44am] <wiert> funny as after the mkinitrd, a reboot went fine. [10:44am] <wiert> it’s only that after a zypper dup it fails. [11:27am] <wiert> @fvogt: I will add this part of the IRC chat to that blog post and try to get your suggestions done when the spare RPI3s get in. This entry was posted on 2017/08/17 at 23:59	and is filed under *nix, Development, Hardware Development, Linux, openSuSE, Power User, Raspberry Pi, SuSE Linux, Tumbleweed. You can follow any responses to this entry through the RSS 2.0 feed. You can leave a response, or trackback from your own site.